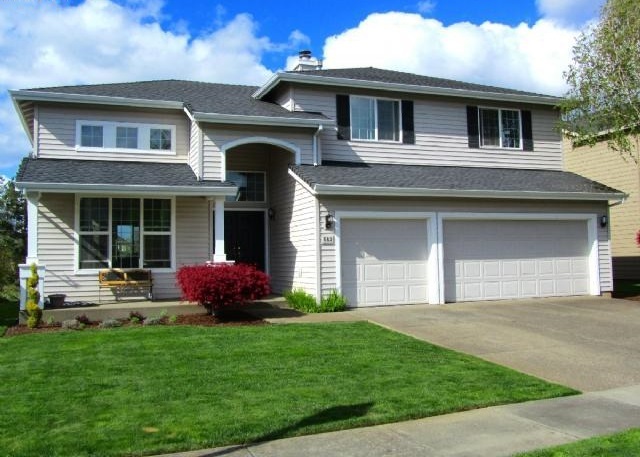 Our sponsor, Certified Realty recently sold this attractive home in Woodburn’s Tukwila neighborhood and can sell yours, too. Unlike so many properties that languish on the market unsold, this property had a sale pending in just three weeks! Thinking of selling? Contact the ones who know how to sell Woodburn homes, our WoodburnHomes.com sponsor, Certified Realty! Simply use the convenient form below for a FREE report on what your Woodburn property could sell for in today’s market. This entry was posted in 97071, Tukwila Woodburn, Woodburn Homes, Woodburn Homes For Sale, Woodburn Homeseller, Woodburn Housing, Woodburn Housing News, Woodburn News, Woodburn Properties, Woodburn Real Estate, Woodburn Realty and tagged 97071, Woodburn, Woodburn Economy, Woodburn Home Report, Woodburn Home Selling, Woodburn Homes, Woodburn Homes For Sale, Woodburn Homeseller, Woodburn Housing, Woodburn News, Woodburn Oregon, Woodburn Oregon Home Sales, Woodburn Oregon Homes, Woodburn Oregon Real Estate, Woodburn Properties, Woodburn Real Estate, Woodburn Real Estate Report, Woodburn Realty. Bookmark the permalink.